Why another Garamond? 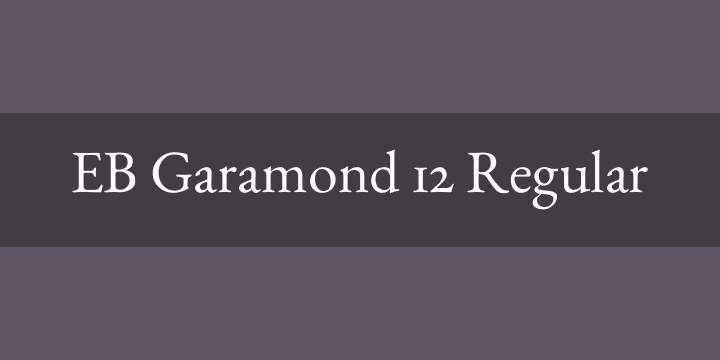 The Garamonds are probably the most copied typefaces in the world. There are indeed lots of excellent Garamond fonts, also such that try to approach the original in the same way as EB Garamond does. In the world of free software, however, only few Garamond-inspired fonts exist, and as far as I know, none with the scope of EB Garamond. I know that competition is hard in this field, and these fonts won’t be able to stand up to their commercial counterparts for quite some time. Nevertheless, its time for the opensource community to have a classical Garamond and I promise, I’ll try hard to learn and give my best.